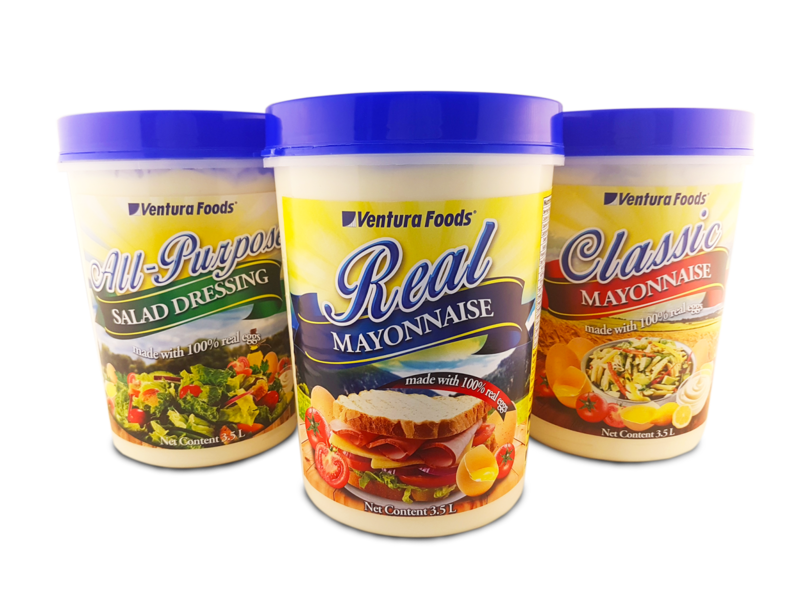 If you go to a restaurant in the United States there is a good chance that you would be eating a Ventura foods product. Ventura Foods is a leading manufacturer of custom and branded oil, shortening, margarine, mayonnaise, sauce and dressing in the United States. The company currently supplies many Quick Service and Fast Casual Restaurants in the United States and many other countries around the world. 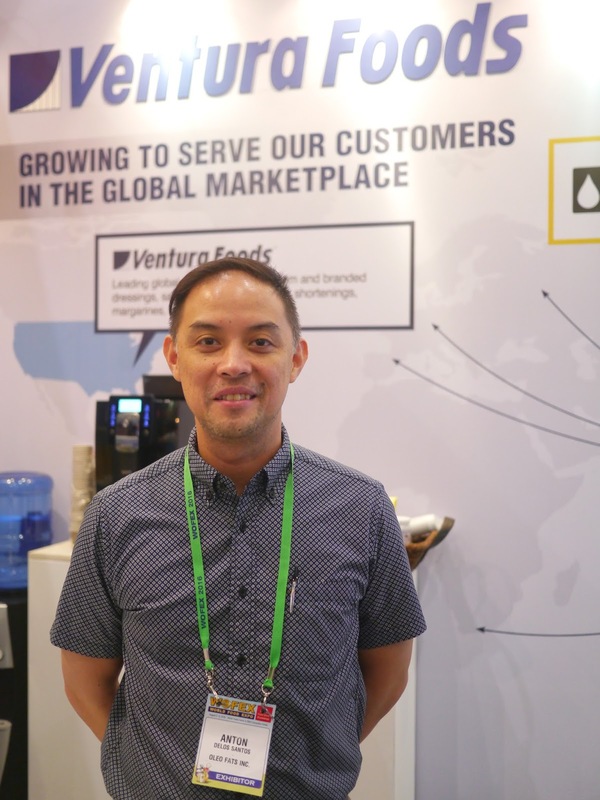 Ventura has since expanded to the Philippines to cater to the ever growing needs of the industry here and the rest of the Asia-Pacific Region. This is welcome news to the food service and restaurant industry, which is experiencing robust growth, and demands high quality products to offer a public with increasingly discriminating tastes. Ventura held a successful exhibit at the recently concluded WOFEX (World Food Expo) in August 2016 at the World Trade Center Manila where clients were able to sample the kind of products the company can offer. Ribbon Cutting ceremony during the opening of WOFEX 2016 last August 3, 2016. (L-R) Anton de los Santos - Sales and Marketing Director – Export Division; Vincent Lao – Managing Director, Oleo Fats ; Yann Kervoern - President, International Ventura Foods; Glenn Lobo - Director of International Operations – Asia Pacific, Ventura Foods; Baven Chin – Sales Director – APAC; and Francis Tan – Director for Sales and Marketing, Local Division. Asia-Pacific was a natural choice in deciding where to expand the company. 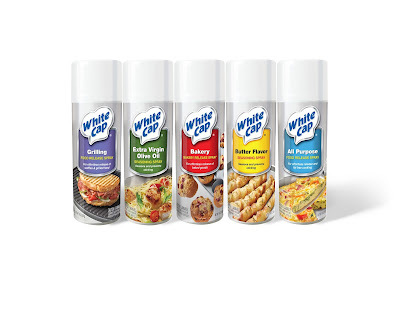 "One reason why we're here is that our key clients have approached Ventura USA because we are the primary supplier of sauces and dressings for these major companies,” says Glenn Lobo, Director of International Operations for the Asia-Pacific region.“They reached out to us and said, ‘Hey, can you help us make sure our sauces are standardized across the globe?’” It has been the practice of QSR chains that expand globally to use local suppliers in many markets. They had to make do with what’s available because importing those same sauces from the US would be too costly, which would result in a less price competitive end product. 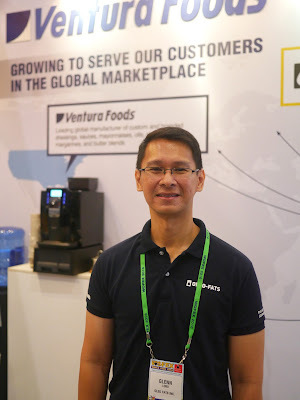 Glenn Manasan Lobo is the current Director of International Operations – Asia Pacific for Ventura Foods. He has been with the company for thirteen years formulating and commercializing different food products sold in the industry. Glenn received his Bachelor of Science degree from California State University, Northridge where he earned a double major in the fields of Food Science and Nutrition. 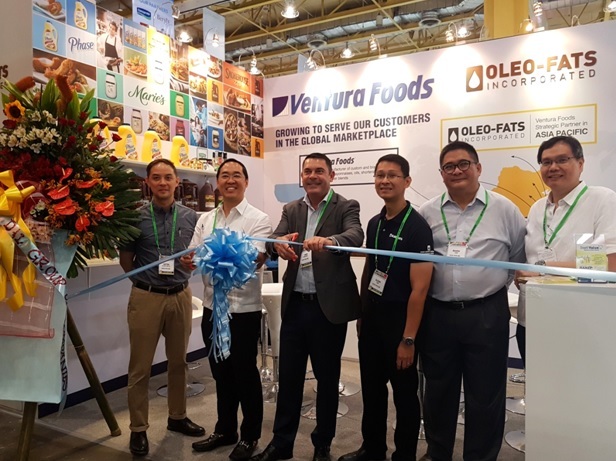 To be competitive in terms of pricing and quality, the company established a strong local partnership with Oleo-Fats Inc., which consists of the production and marketing of products not just for the Philippine market but also for export throughout the Asia Pacific region, and even the Middle East. “In the region we know we will be tariff and duty friendly and cost competitive, but the same time to be able to make our customer and their customers happy that what they're eating is something similar to what they'll be eating at when they're in the US or anywhere else,” explains Lobo. Apart from bringing their obvious expertise to the Asia-Pacific market, Ventura recognizes that the region and the countries in it have their own unique flavor profile that may not always match those in the United States. “We have the ability to adjust tastes to consumer preferences for every country in the region,” says Kervoern. The Ventura produced real mayonnaise for the Philippine market, for instance, is sweeter than mayonnaise they produce elsewhere because this is in line with consumer preference. They plan to take the same approach to the rest of their market. “Taste is important, but in our market of sauces, dressings, mayonnaise and margarine, texture and mouthfeel are other components that are equally just as important,” Kervoern explains.The experience in the US means the company’s area of expertise in products that specialize in both taste and mouthfeel is vast. Anton delos Santos is the current Sales and Marketing Director – Export Division of Oleo-Fats, Inc. He has been with the company for eighteen years. Anton received his Bachelor of Science degree in Business Administration from the University of Asia and the Pacific. This combination makes them a formidable presence in the industry. “We have the know-how, technical capability, quality systems, the production capabilities to delight our customers, and we try to remain fleet-footed and agile in terms of being able to respond to market trends and customer demands,” says de los Santos. Ventura’s presence in the region is growing, and with local production capabilities, they can only expect continued momentum that’s set to match the booming growth in various related and complementary industries such as tourism and casual dining. Ventura Foods and Oleo-Fats, Inc. office address is at #5 Mercury Avenue, Bagumbayan, Quezon City 1110 Philippines or visit the official website at www.venturafoods.com. You may contact them directly at (02) 709 6536 or (02) 635 0680.